Split testing is the process of testing conversion rates by sending traffic to multiple versions of a sales page or squeeze page. This can be done manually, or it can be automated with software. The important thing is to have a very good tracking system in place. What should you split test? Almost everything should be tested! You should test at least two versions of your headline all times, at least two different price points, and at least two different calls to action. You might also test multiple versions of your sales copy, different graphics on your sales page, and even different product names. Why should you split test? Split testing is a way to tweak a page for the best possible conversions. Very few people achieve maximum conversion rates for the first version of their sales letter. And minor changes can have a huge impact on your conversions! A 1% change in conversion may not sound significant, but it’s not so small if you think of it in terms of dollars instead of percentages. If you have a 1% conversion rate and you make a total if $3,000 off of 10,000 visitors, that seems pretty decent, right? But what if you doubled your conversion rate to 2%? 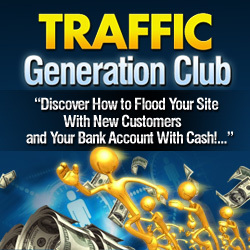 Then you would have made $6,000 off of the same 10,000 visitors! I don’t know about you, but an increase from $3,000 to $6,000 seems like a pretty decent change! Some people do their split testing manually. In this case, you simply have at least two different versions of your sales letter, and you send the same amount of traffic to each version. Ideally, the traffic will come from the same source, because different sources of traffic can have wildly different conversion rates. For example, traffic from Google AdWords might perform better or worse than traffic from Microsoft adCenter. You will then look at your conversion rate for the two versions to decide which one performed better. It’s important to send a decent amount of traffic to each version before deciding which version is the true winner. One hundred hits will probably not be enough to provide statistically valid data. You should probably send at least 1,000 hits to each version before you make your decision. This is one reason why people feel they don’t need to split test their sales letters. It can be costly to drive traffic during the testing phase. If you send 1,000 hits to each version at a cost of $0.50 per click, that is $500 per version, for a total of $1,000. That might seem like a lot, but you should make some money off of that testing if either of your sales pages is any good. Even a 0.5% increase could mean an additional $1,500 in your pocket in the earlier example, so it really pays to test. Remember to track very carefully. Use an analytics program like Google Analytics if you can. This way you can track where your traffic is coming from, where it goes, and how well it performs on your site. Analytics is free, and it can help you track a lot of very important information, so you can test conversions more easily than ever before. Some split testing tools do all of this work for you, automatically rotating your files and tracking the conversions for you. You simply log in, tweak something new, and sit back to see how much better (or worse) it affects sales.